The Sousaki volcano is an area with about 2-4 former eruption centers. Probably mainly hydrothermal and phreatic eruptions, about 1-3 Mi. years before today. It is the north-western part of the Cycladic arch of the active Greek volcanoes. The earthquakes of 1997 of 3-4 R had as a result the uprising magma in higher areas of the earth crust. So future activities are possible, even there have been no historic eruptions been reported. 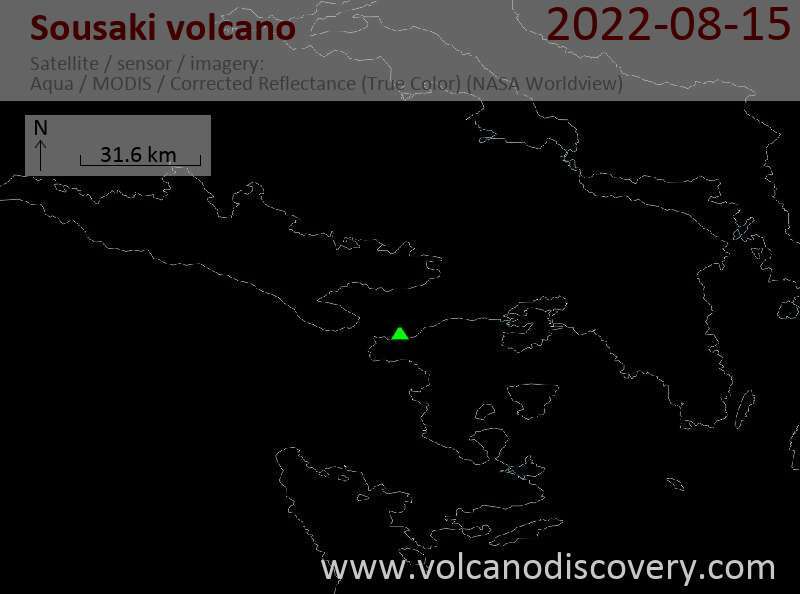 Also the area around the volcano is stressed by many fault systems that are a cause of high seismic activity in the area of Gerania mountains and the Loutraki thermal spings are probably also connected to the "Sousaki magma chamber". The area is controlled by the Greek Geological Instistute IGME.